For the last 6 months or so, I’ve been on a real health kick. It actually started about a year ago but I’ve been really into nutrition and exercise over the last few months. I used to have an awful diet, everything that’s bad in spades with a touch of fresh food here and there. That’s all a distant memory now, replaced with a mainly cooked from scratch regime – I’m on first name terms with my butcher, fishmonger and greengrocer as I pop in so frequently. I’m not super strict and still eat burgers and pizzas but they’re a treat rather than being a regular food group! Exercise is all well and good but it’s the food you eat that makes a real difference. I realised that its fuel and what you put in, you get out. Now that I eat healthy, home cooked meals which are protein and vegetable heavy, I have more energy, feel better, sleep better and my skin has a glow. To be honest, one bad meal doesn’t undo all of the good work but I definitely notice if I’ve had a few days of bad meals. Depriving yourself of food isn’t healthy which is why I don’t do diets and never have. But I now see food from a nutritional perspective which has changed everything. For me, it’s all about moderation. In the same way, one salad won’t give you abs, a burger won’t make you put on kilos. You can always make smarter choices to have a slightly healthier meal too, at The Diner I go for sweet potato fries (yay for complex carbs) and I’d rather go to Homeslice for a super thin, authentic pizza than a heavy Dominos. The one thing I hadn’t cracked was dessert. Sugar cravings can be curbed with fruit (hello, fructose) but sometimes you just need a chocolate or a cake. My friend Dena always opts for Green & Blacks, as they’re not actually that bad for you. Due to their high cocoa content, they have an intense flavour without artificial additives or sugars and they’re also organic which is a huge bonus, she only has a couple of squares rather than indulging in a whole bar as the flavours are so rich. 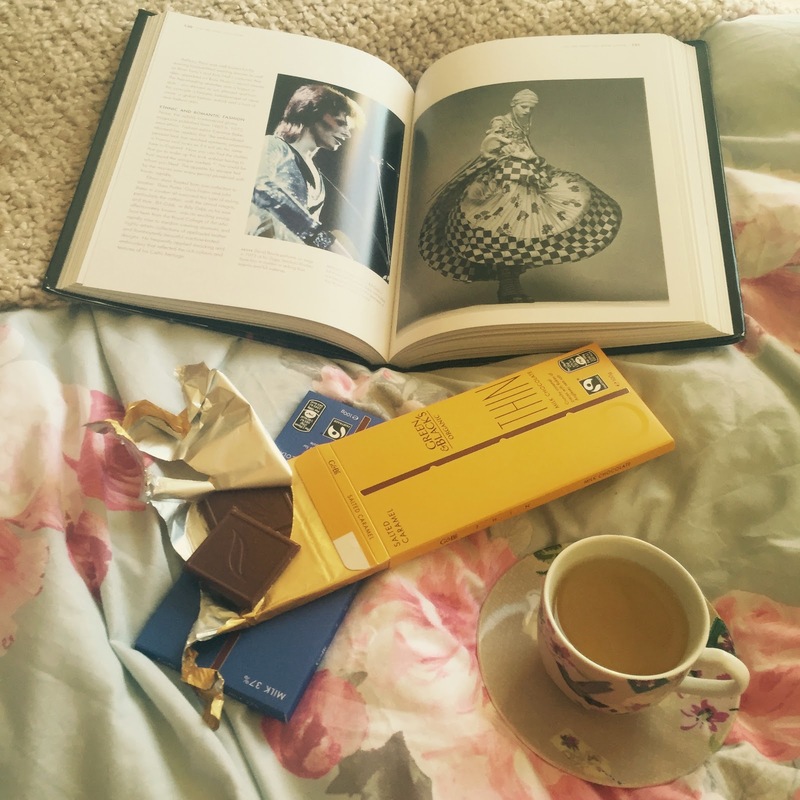 A couple of weeks ago, I had a chocolate craving so I treated myself to a couple of bars of THINS as well as a cup of green tea and one of my favourite fashion books. To my surprise, I didn’t devour the whole bar in one sitting. he bars lasted me a good couple of weeks and a few squares here and there were able to keep me satisfied. I’ve learnt that everything is fine in moderation and I’ve got a feeling that Green & Blacks THINS are going to become my favourite little treat.